Silverstone (8 August 2018) — It is fair to say when it comes to drivers and sponsors, Kelly Moss Road and Race (KMR) truly makes it personal. 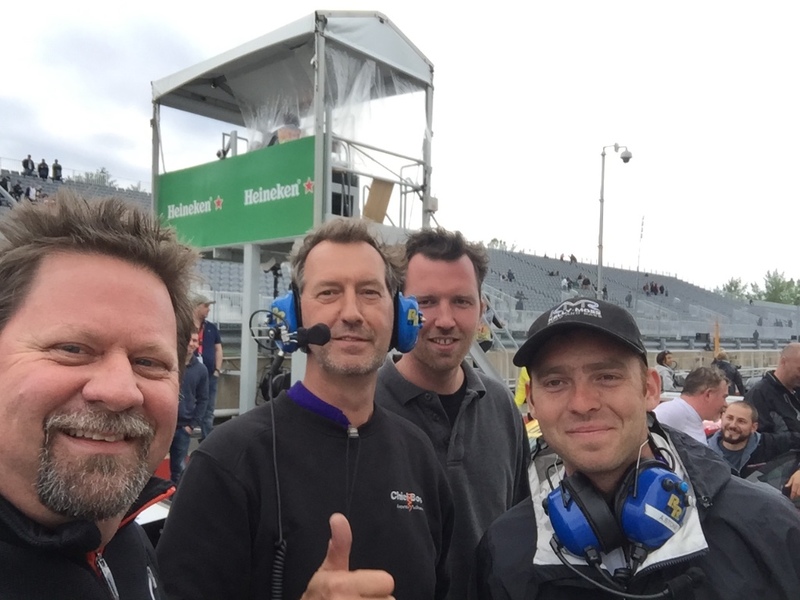 Celebrating KMR’s 30 year anniversary takes a back seat for team ownner Jeff Stone. He has established a reputation for not only developing race cars, but also the drivers who race them. Continuing that effort, Stone was on hand for the recent Formula 1 event at Silverstone which also featured the Porsche Supercup Championship. 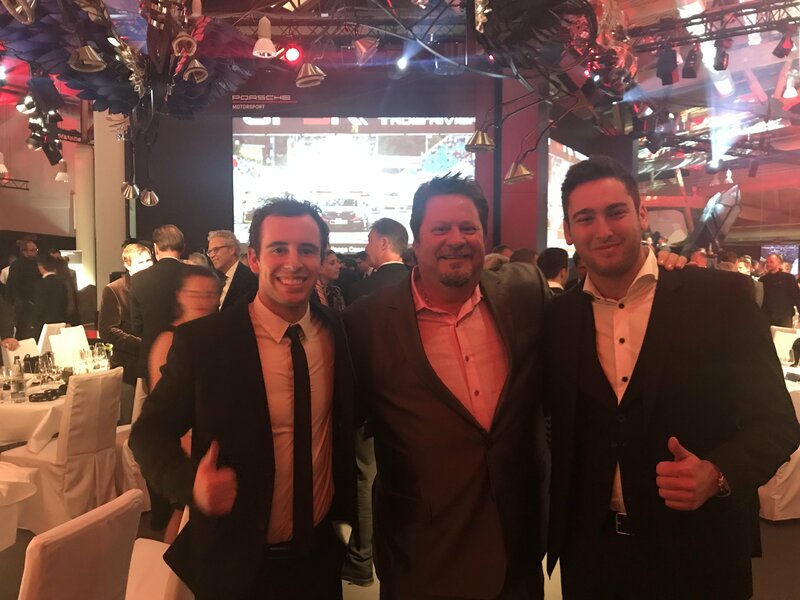 The visit was just another chapter in a relentless effort to foster the career development of KMR drivers, in this case young 2017 IMSA Porsche GT3 Cup champion driver Jake Eidson. 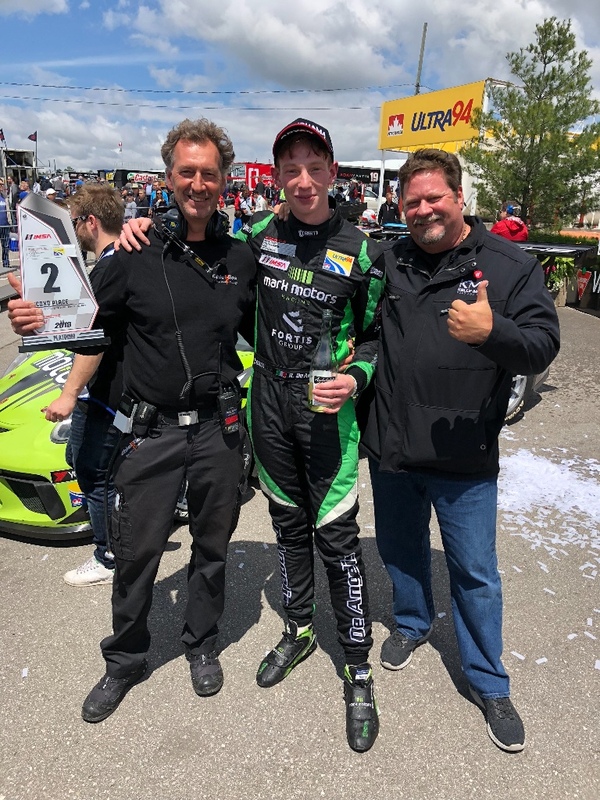 Racing for Children’s is the centerpiece of the team’s current championship-contending youngster Roman De Angelis, who has 2 wins so far in the 2018 IMSA Porsche GT3 Cup series and 1 win in the IMSA Porsche GT3 Cup Challenge Canada series. 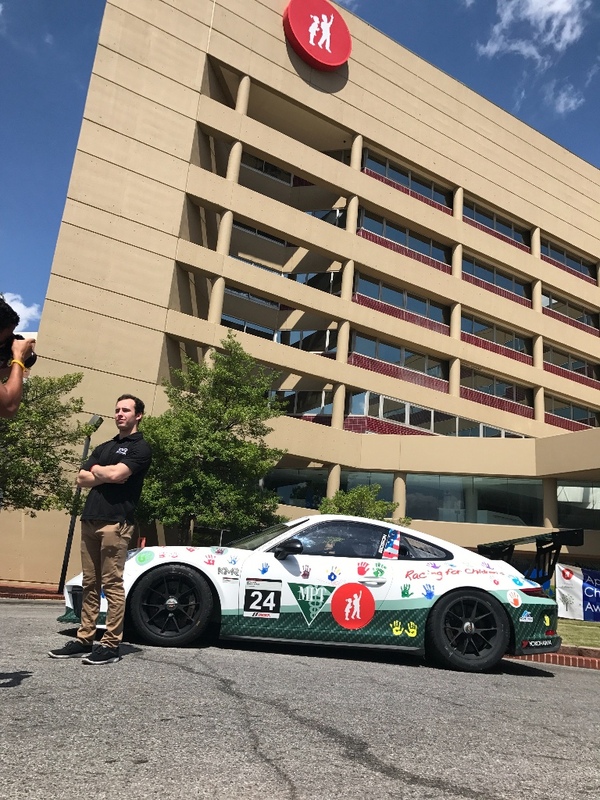 His Porsche GT3 Cup machine carries the handprints of young patients as a symbol of the partnership with MPT and Children’s of Alabama. 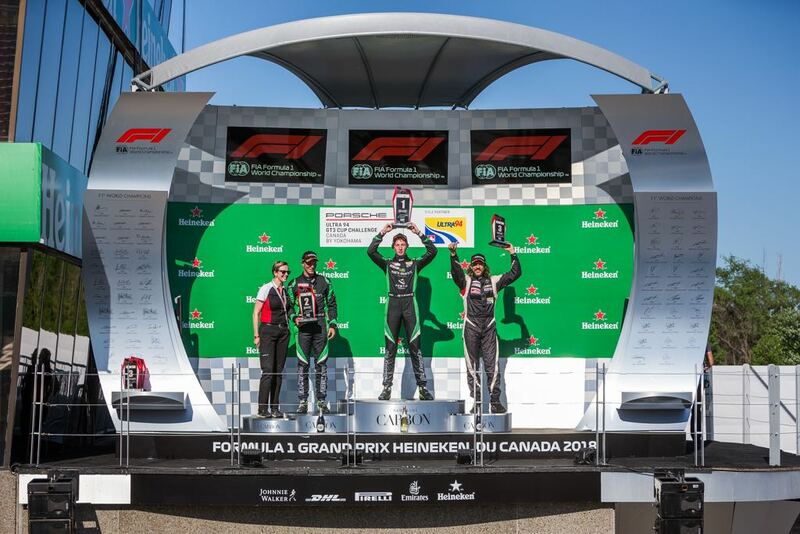 Currently a front runner for the championship, De Angelis is hoping to extend the legacy of KMR success and has already recognized the opportunities that the team has worked to develop for him. 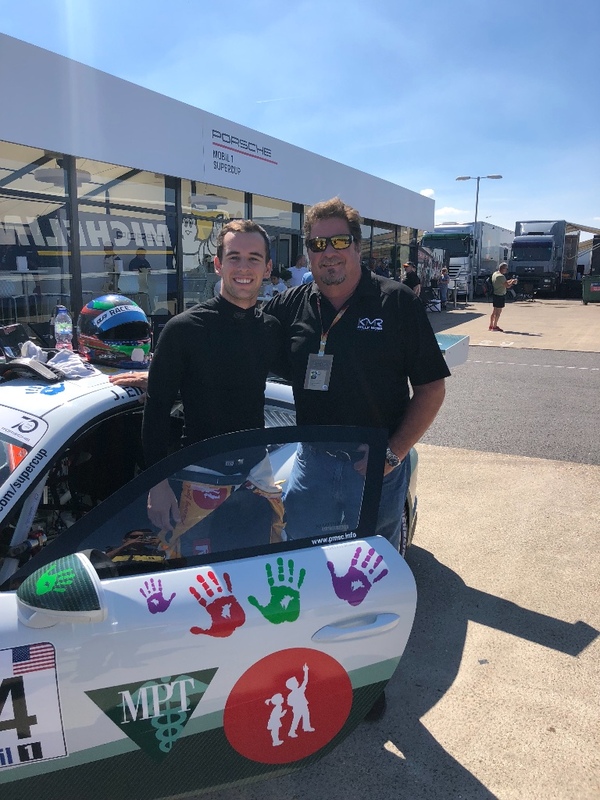 The Children’s of Alabama KMR livery that De Angelis races with is one that has an established record of success, having won the 2017 IMSA GT3 Championship USA by Yokohama championship with Eidson behind the wheel. 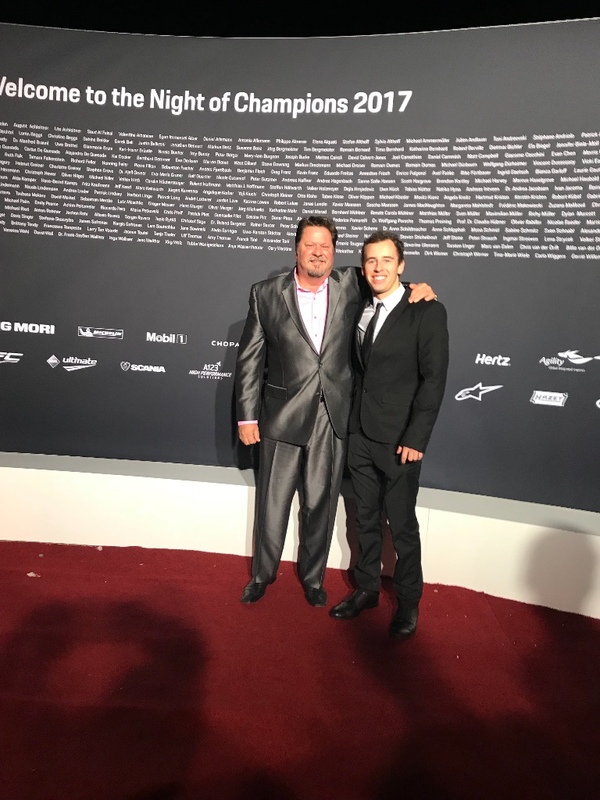 Eidson, who earned the Hurley Haywood Scholarship from Porsche, IMSA, and Yokohama to be able to run the 2017 season, is now working on building his way up the Porsche ladder in Europe. 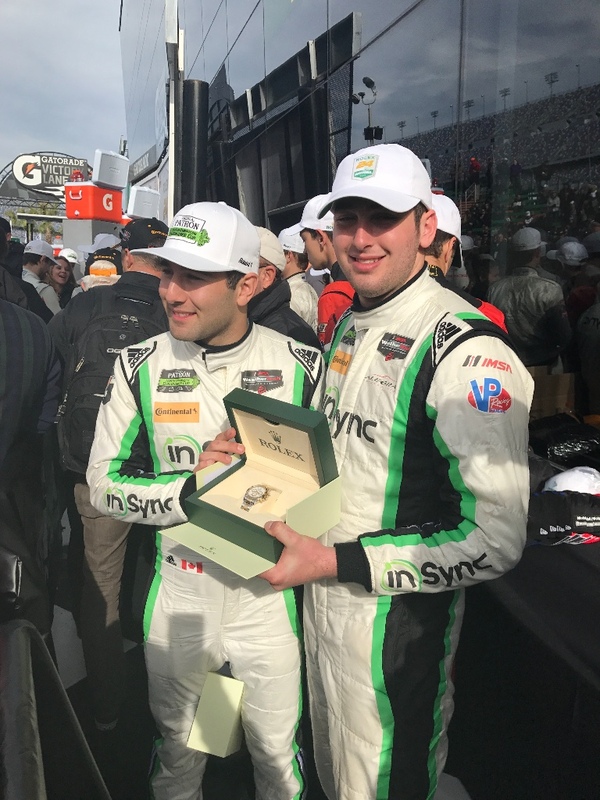 Eidson’s success in 2017 followed the fortunes of 2016 IMSA GT3 Championship USA by Yokohama Champion Jesse Lazare, who won the championship with KMR and then moved directly to the IMSA WeatherTech SportsCar Championship to claim a Rolex 24 At Daytona win in his very first try on board a Porsche 911 GT3R. That passion for his drivers has to be tied with performance, and that is another important tool that KMR puts to use. With up to seven entries for some of the event weekends, the KMR roster of racers once again sees a large group of motivated racers that are making the team their home in 2018. The roster includes Alan Metni in the No. 99 VICCI Car Auctions AM Motorsports/Kelly-Moss Porsche, and the No. 61 of Scott Welham in Platinum as well as four Gold Cup entries with Greg Palmer in the No. 44; Kurt Fazekas in the No. 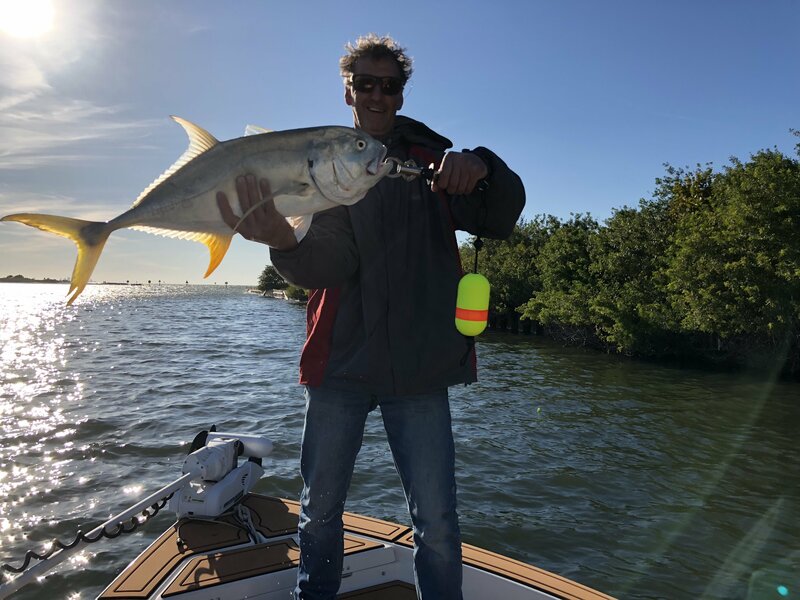 52; Wayne Ducote in the No. 73 and the No. 85 entry of Brent Asplundh. 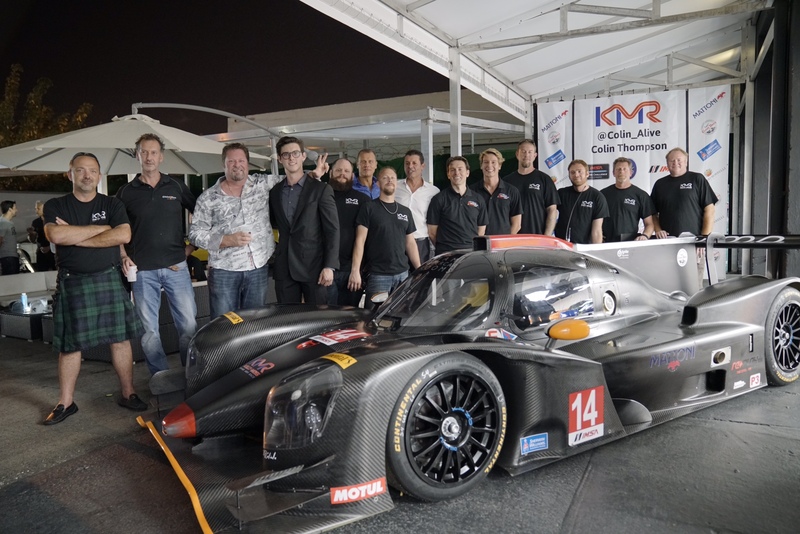 But one young driver moved from racing a Porsche to racing a prototype with KMR and yet continued his winning ways. 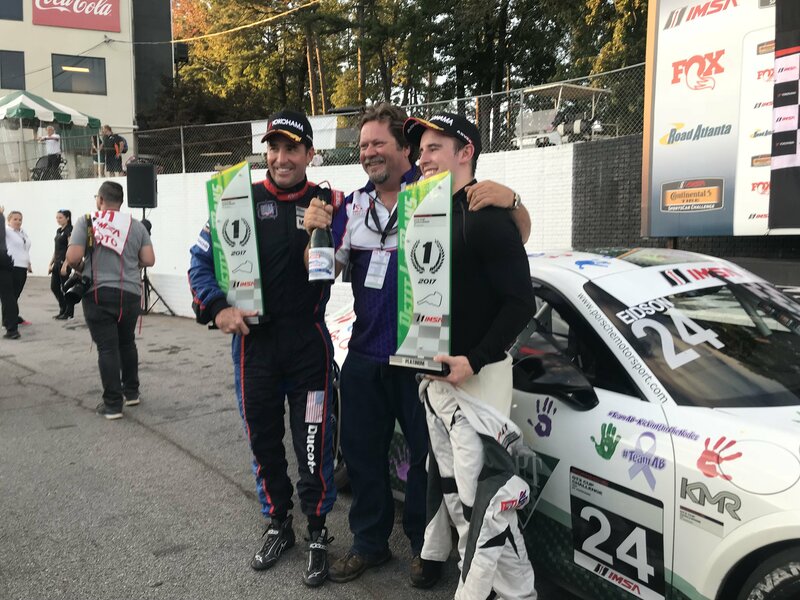 Colin Thompson won the 2014 IMSA GT3 Cup Challenge USA by Yokohama championship and then moved up with Kelly-Moss to take the 2015 GT Cup Championship in Pirelli World Challenge competition. 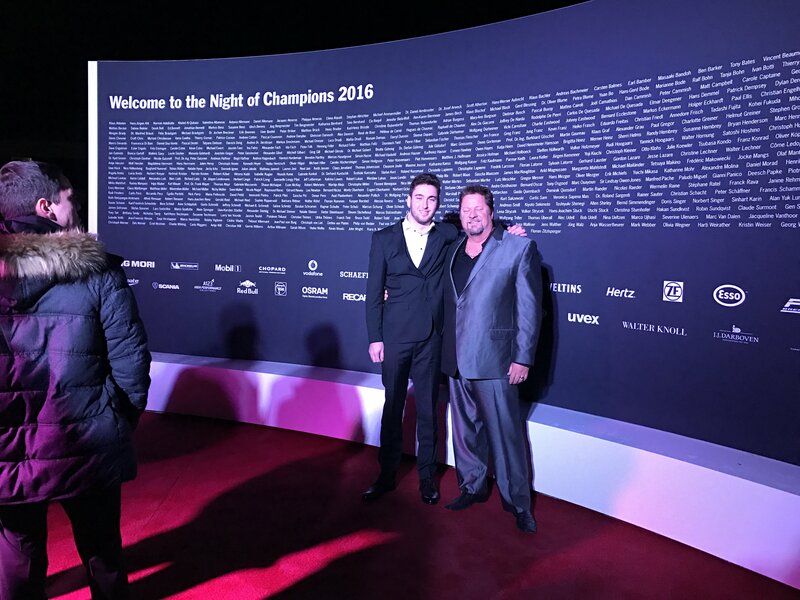 In 2017, he moved to Prototype Challenge presented by Mazda and claimed the LMP3 championship in his first season. That decision wasn’t one that just came down to the driver as Thompson’s parents Rochelle and John were also a big part of the decision. Stone’s push to give young motivated team members opportunity isn’t just focused on drivers, as attested to by his hospitality intern Samantha Stananought. 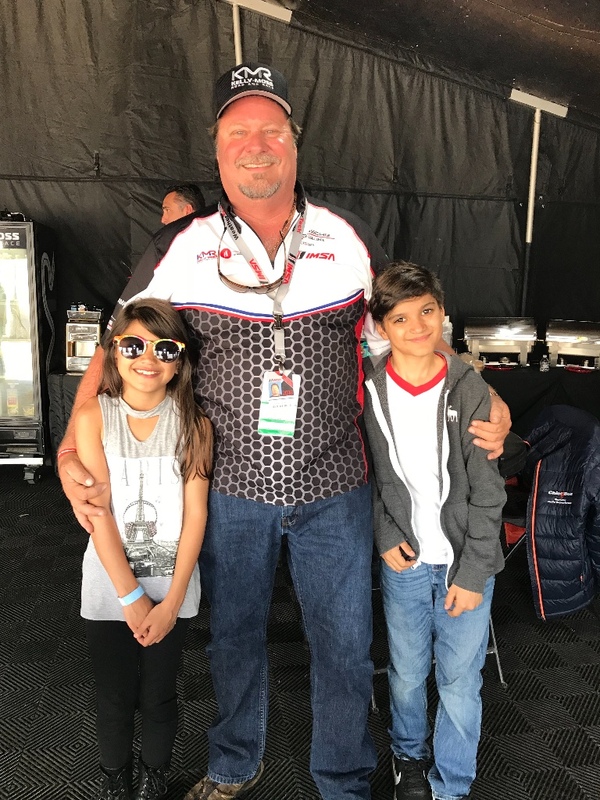 Stone met Neil Stananought through the De Quesada family and invited them to a race weekend. Neil’s daughter Samantha, who will be a senior in high school next fall, was thrilled to be at the track. 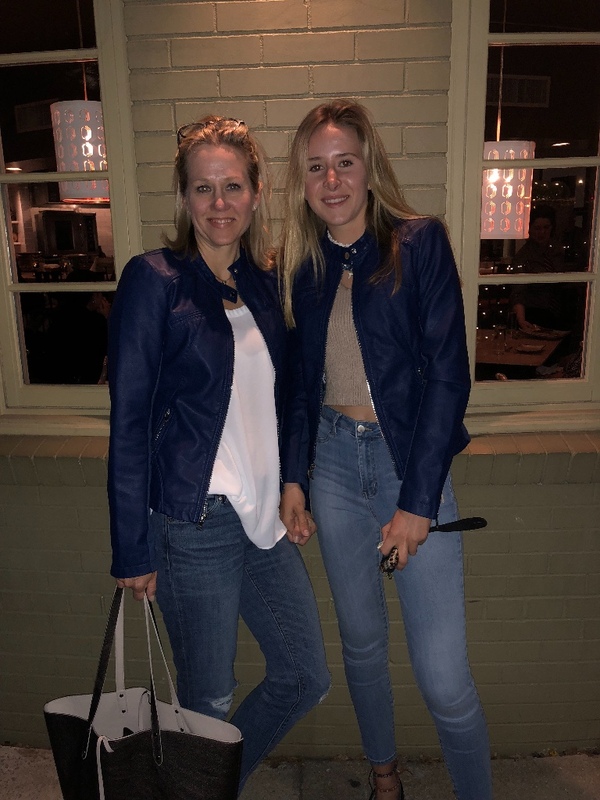 Seeing her excitement, Stone created the opportunity for Samantha to get some behind the scenes experience with the team, working with their team manager and logistics specialist Charissa Cobb. “They have been a great group of people to have her work with. Jeff even went to her school and wrote a beautiful letter to them because she had to miss a few days this year and they were completely understanding and supportive of her taking on this opportunity. Jeff does such a great job. With the drivers, he’s telling the parents ‘they are mine now’ and he takes full responsibility for their development. Stone isn’t the only KMR team player who is trying to pay it forward.